Unique home accents with Old World Charm. All the extras for your cottage cozy home. Vintage linens, vanity items, china & more! Lovely shabby, cottage, romantic, and rose decor pieces for your home, vintage and new, many featuring the work of artist Cherie Perry. Offering one of a kind treasures and accents for your beautiful home and cottage lifestyle. 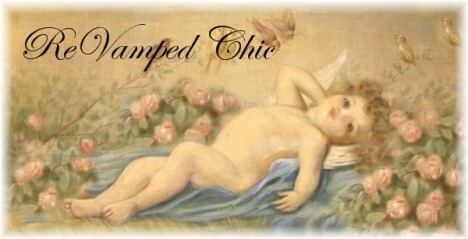 Offering Shabby Chic, Romantic & French Counrty Chic Accents & Accessories for your home. Including Gift Items, Rosanna Tableware & Rose Inspired Decor. Shabby Chic ~ Victorian ~ Paris Apartment ~ Cottage Style & French Country Inspired Accents For Your Home. Pillows ~ Tea Accessories ~ Collectible Dolls ~ Victorian Bears & More! Time worn treasures we love from the past, things we will love for years to come. Specializing in hand painted decorative Mailboxes, Gifts and Home Decor. Beautiful Home Decor & Gifts, Baby Boutique, Tea Time! Shabby Chic, Cottage Chic. Historical reproduction clothing,bustle gowns,1800's dress,Sweet Love baby Collection,Victorian Bridal, Home Decor,Sweet Romance Jewelry,accessories + more! All things pretty for your shabby, romantic, cottage, chic or victorian style home. Come sit back on the Front Porch and enjoy our wonderful candles. 100% Soy Gourmet Tarts, Container Candles, Grubby Pillar Candles, Votives and More! Custom blended highly scented fragrances. Wholesale available. and one-of-a-kind items to decorate your home or for gift giving. I sell vintage, prim, chic, shabby, cottage home decor, antiques, mixed media art, collectibles, garden, plants, salvage, other treasure. Unique handmade gifts and home decor. Mosaics, greeting cards, beach, gardening, pet items, vintage finds and more! Sweet Kathleen's offers a beautiful collection of cookbooks and memory books. We also carry gourmet Scone mixes which are so moist and light that they made Oprah's "O" List. Please visit us!